﻿﻿﻿Monday night’s practice is a permanent fixture in my house. Everyone knows that I head out the door by 5:50 to get the rec centre to run with Toronto Olympic Club (Oakville) come hell or high water. 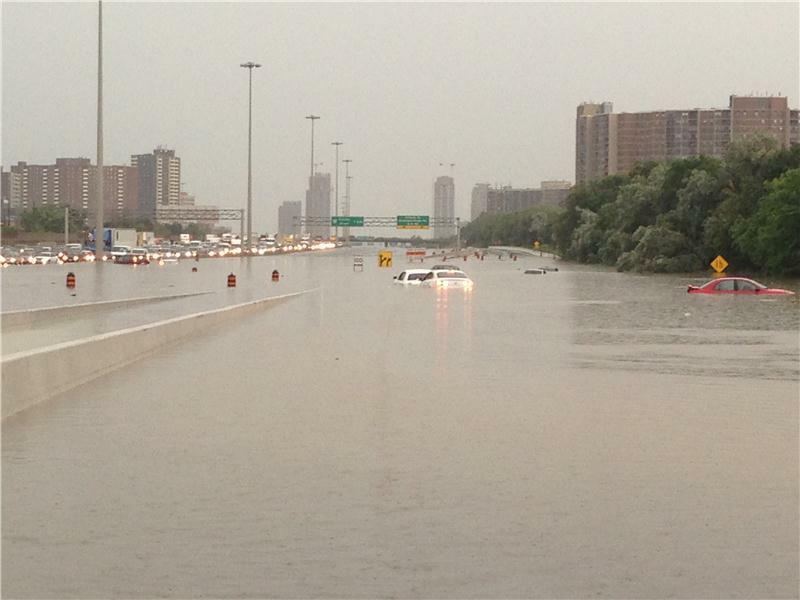 This Monday night, the GTA saw high water. Shortly after 5:00, while the boys were at a swimming lesson, Dave and I overheard another parent talking about a huge storm hitting Toronto. We’re in Oakville, just west of T-dot, and we also expected to get some heavy rain. By the time I got to the rec. centre, it was spitting and, while it did get a little heavier, it was nothing to worry about. Kelly-Lynne, Coach Kevin and I were the only ones out, though, and we hit the trails to try to stay drier. After practice, Kelly-Lynne dropped by the house to pick up some breadsticks and filled me in on the news: Toronto was indeed under heavy waters. I suggested she spend the night with me rather than make the long drive home but Kelly-Lynne declined; instead, she took Highway 407, a bit north of the flooded roads, to try to avoid the chaos that Mother Nature brought. About an hour later, Kevin sent a text to let me know that Darryl was still on the GO train. He, then, sent me an image of one of the highways. The first thing I did was try to get a hold of Kelly-Lynne to make sure she was okay and remind her that she could turn around to stay with me. Luckily, the 407 was clear and she was home safe and sound. Normally, Darryl would have been at Monday’s workout but he raced the day before so decided to stay at work a bit later. Kevin and I knew that Darryl, like thousands of others, was stranded and we were prepared to pick him up to get him home. Kevin and I were texting back and forth, both of us trying to get a hold of Darryl and frustrated that we couldn’t. Once we did, Darryl said that everything was “okay” and he was hopeful that he would be moving shortly. He was stranded on the Lakeshore West line, waiting for a bus to take him to Clarkson where he would have to wait for another train to get back to Oakville. It took an hour for Kevin and me figure out that he was at Long Branch (the west end of Toronto) and, as soon as we did, sent the following message: One of us will come to get you. No arguments. And the deal was sealed. I told Hubby that I was heading out to pick up Darryl, but he stopped what he was doing to steal my Superhero cape. “I’ll go. Where is he? Send him my phone number.” And Dave left – lucky for me because the power outages meant the highways were black, except for the headlights and tail lights of other cars. Within less than an hour, Dave got to Long Branch, found Darryl and got back home – both safe and sound. Kevin and I joked. “Had he come to practice, he wouldn’t be stuck,” Kevin said. It’s amazing how strong the running community is. 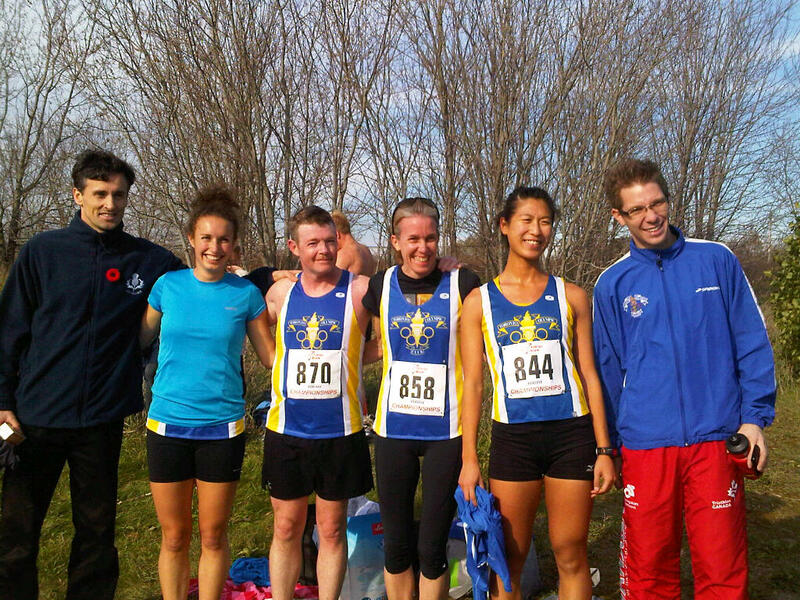 Through our training, our aches and our victories, we have become a tight-knit group. We have become a running family. 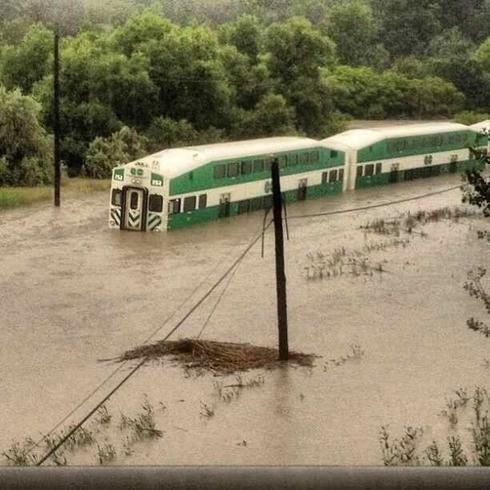 GO-train stranded in downtown Toronto, with water rising about 6 feet up.